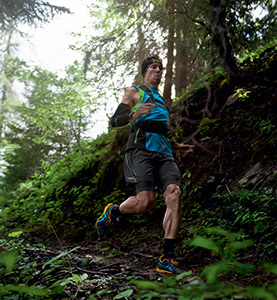 Article By: Craig Taylor - SHOE SCIENCE hq, podiatrist and runner. Recently I read this abstract and discussed it with Dr Chris Bishop from ASICS, because frankly I struggled a little with some of the figures. Chris' clinical interpretation is rotating shoes decreased injury risk by 39% and mixing up training was even better. What this means is the old idea of rotating shoes is very sound, as is participating in other forms of exercising. So this is not new, however it is good to be reminded and good that evidence is added to the discussion. 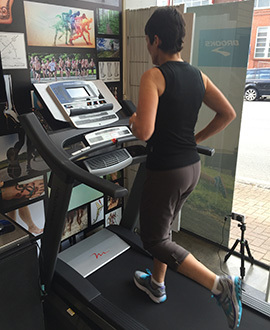 Customers are enjoying and responding to the conversation of doing a trail run once per week, doing a tempo run, riding a bike or going to the gym. Anything that mixes it up. As my gym trainers says "the best exercise for you Craig, is the exercise you have not done yet". Can parallel use of different running shoes decrease related injury risk? The aim of this study was to determine if runners who use concomitantly different pairs of running shoes are at a lower risk of running-related injury (RRI). Recreational runners (n = 264) participated in this 22-week prospective follow-up and reported all information about their running session characteristics, other sport participation and injuries on a dedicated Internet platform. A RRI was defined as a physical pain or complaint located at the lower limbs or lower back region, sustained during or as a result of running practice and impeding planned running activity for at least 1 day. One-third of the participants (n = 87) experienced at least one RRI during the observation period. The adjusted Cox regression analysis revealed that the parallel use of more than one pair of running shoes was a protective factor [hazard ratio (HR) = 0.614; 95% confidence interval (CI) = 0.389-0.969], while previous injury was a risk factor (HR = 1.722; 95%CI = 1.114-2.661). Additionally, increased mean session distance (km; HR = 0.795; 95%CI = 0.725-0.872) and increased weekly volume of other sports (h/week; HR = 0.848; 95%CI = 0.732-0.982) were associated with lower RRI risk. Multiple shoe use and participation in other sports are strategies potentially leading to a variation of the load applied to the musculoskeletal system. They could be advised to recreational runners to prevent RRI.